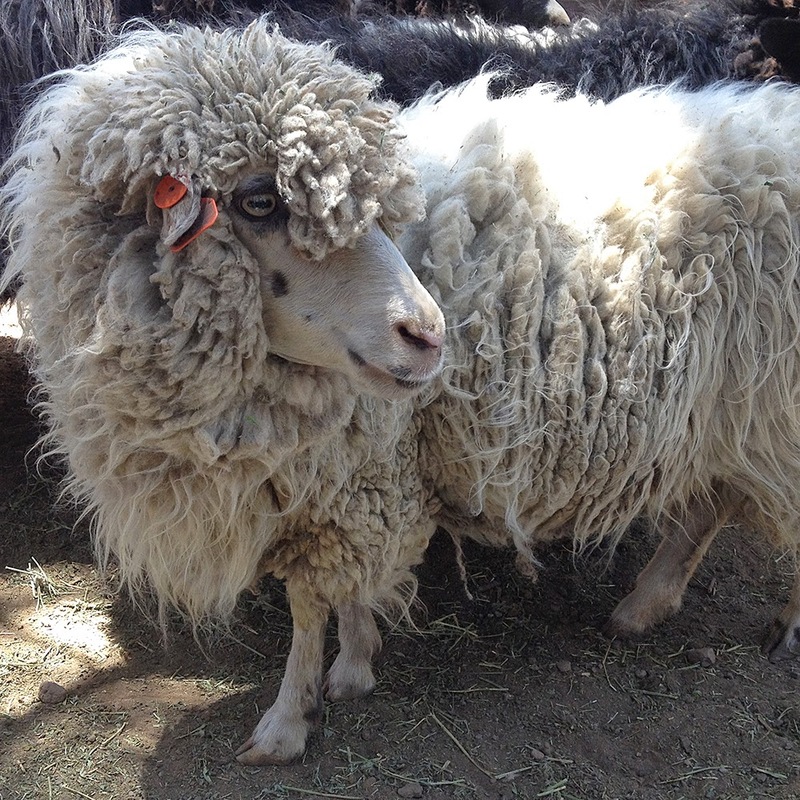 A darling little Navajo Churro sheep waiting to be sheared. Great book on crochet by talented and sweet Yumiko Alexander. 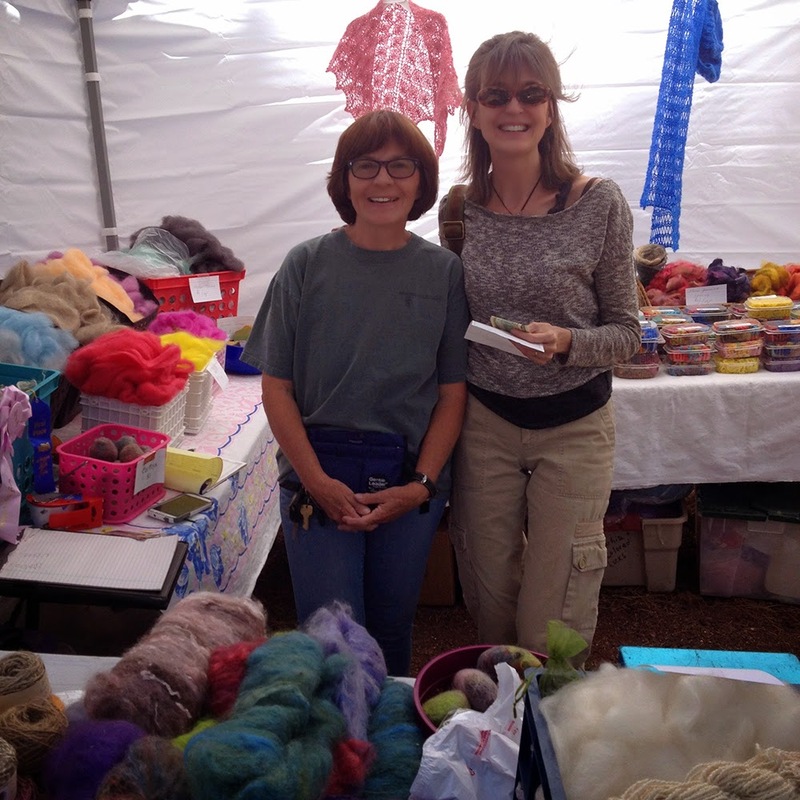 Kind and thoughtful Jacque Howell had some lovely mohair, angora, and llama fiber for sale. This gentle shearer learned the trade at the age of 8 from watching his grandmother. He shared his wonderful stories with the crowd while taking small breaks from his hard work. 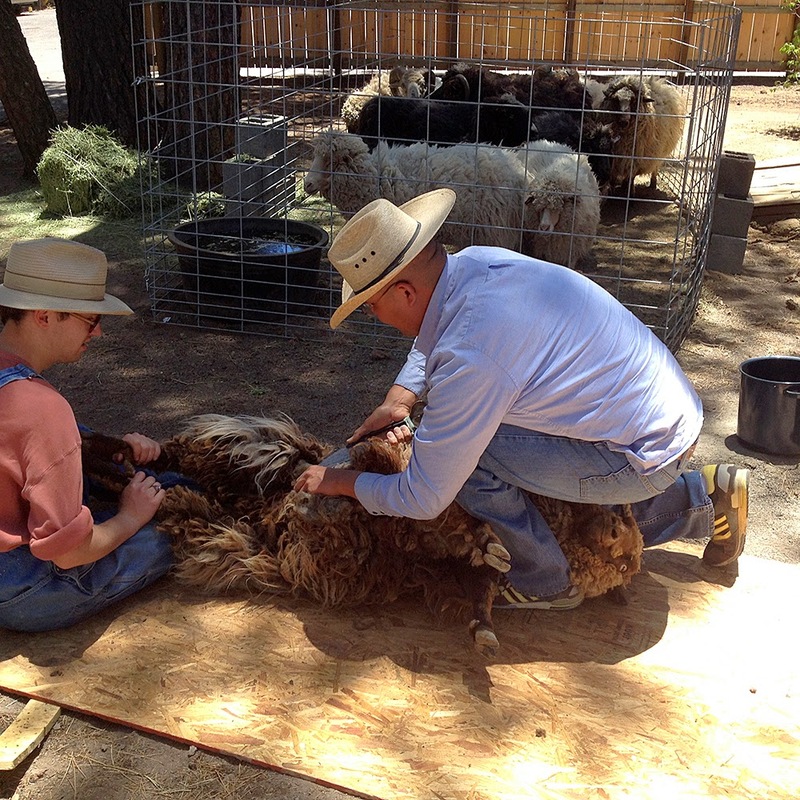 This year was truly an exceptional one for Flagstaff's Fiber & Wool Festival. 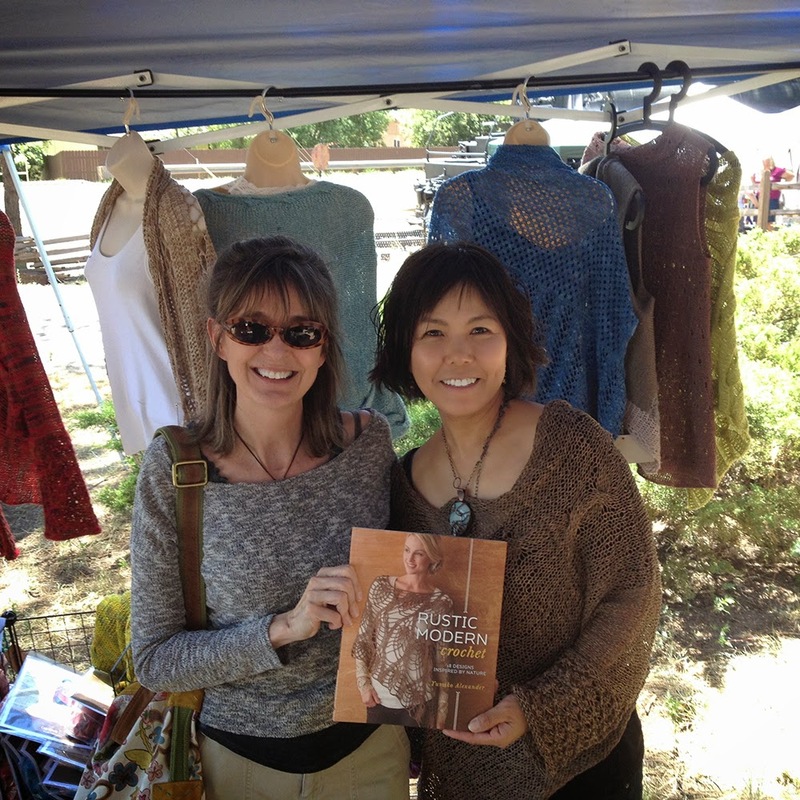 We spent a few hours and lots of dollars at the event: beautiful fiber artist, Yumiko Alexander, autographed her book of original crochet designs for us — and we gobbled up bags of gorgeous mohair roving from Jacque Howell (Arivaca Angora Goats) including some of her award-winning curly mohair locks. My husband and I look forward to this event every year not only to purchase local fiber, but also to meet the wonderful people who work with fiber at various stages in the process: from sheep, llama, alpaca, and goat herders to spinners, weavers, and other artisans. Loretta Flatrock and Vanessa Begay-Lee were just two of the amazing weavers we chatted with, and two artists who may be collaborating with me on future fiber workshops (felting and weaving) — so stay tuned! 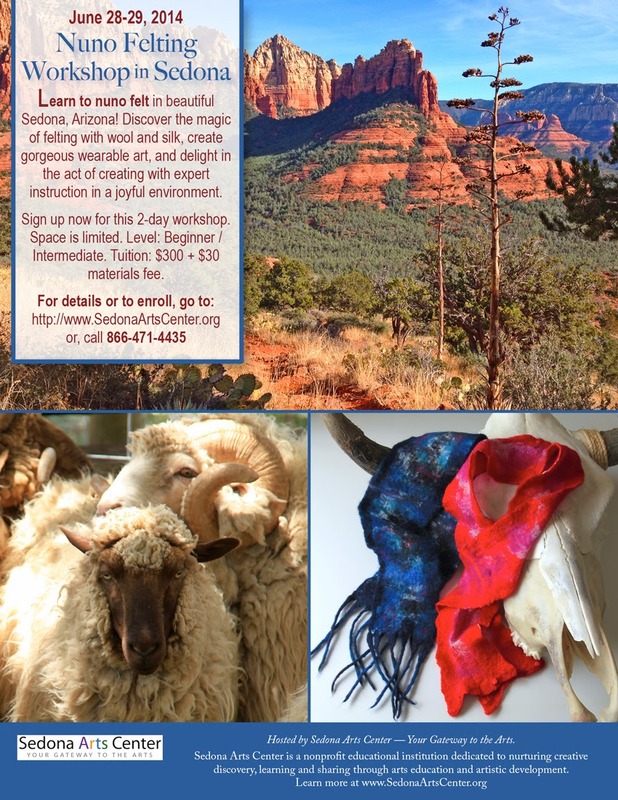 Felting Workshop in Sedona, AZ!